It takes just 15 minutes to slake your skin! 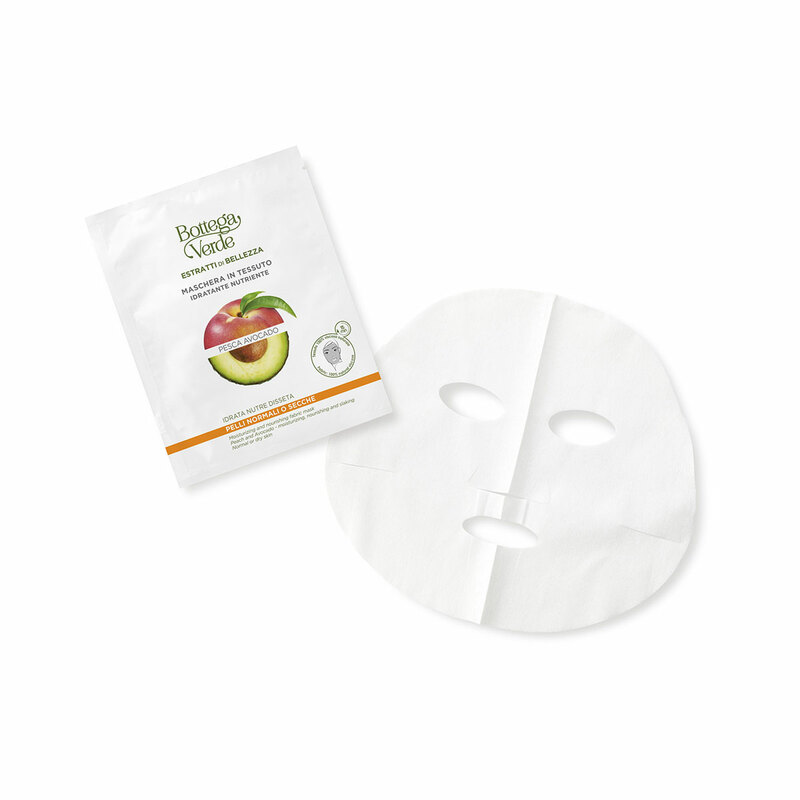 This 100% plant fabric mask is enriched with Peach extract, Avocado oil and Hyaluronic Acid, for instant moisturizing and nourishing action that leaves the skin in great condition and the complexion radiant. Once it is spread out on your face, you will experience a marvellous sensation of revitalizing freshness, which helps to reduce the signs of tiredness and stress... for an exceptional ¿slaked skin¿ effect! Instant action mask made of 100% plant fabric. Enriched with Peach extract, Avocado oil and Hyaluronic Acid, for immediate moisturizing and nourishing action with an exceptional ¿slaked skin¿ effect! Direction for use:How to use it: spread out the mask and place it on your face . Make sure that the mask adheres properly, following the contours of your face. Leave it in place for 15 minutes . Remove the mask and massage delicately. Remove any excess material with a cotton pad . Suggestions:People with normal to dry skin.